Yonkers | Yes, We've Got a Video! We’ve had several features of OFWGKTA videos, whether it be the all-in party of Oldie or Tyler, the Creator‘s intense clips like Yonkers. It’s been quite an interesting development, as we’re more or less seeing the entire collective grow up before our very eyes. Although this year has unquestionably been the breakout year for Frank Ocean, a returning OF member has also been making some waves as he prepares for his long-awaited second album. Remember the FREE EARL campaign? 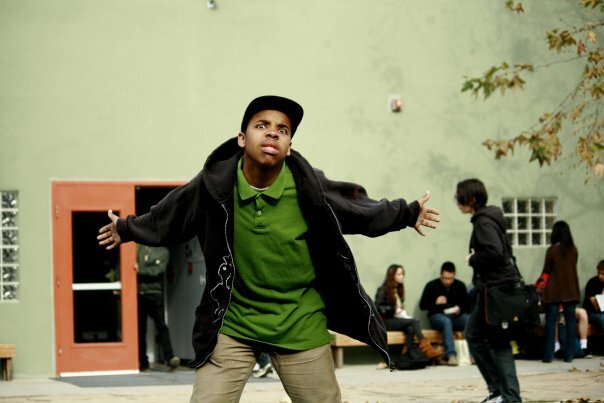 Yeah, well, Earl Sweatshirt is free, alright – and he’s back with a top-notch new video. The black-and-white affair sees Earl taking us into the inner workings of his psyche (psyche, psyche), defying gravitational law and drifting in and out of some truly sinister scenes, ranging from a burning shopping trolley to a bullfrog that goes from being a tiny flicker on the screen to growing into a giant and taking over the streets. There’s something very dark and off-putting about this clip, similar to the first time you saw Yonkers. That said, it’s become less and less about the shock value with OFWGKTA, and more about the artistic expression. If efforts like this are anything to go by, we’re essentially “post-swag.” It’s time to get down to some seriously good hip-hop, and Earl is more than happy to be the guiding light. Along with his now-notorious gang of friends, OFWGKTA, Australia has just seen the departure of Tyler, The Creator, arguably the most talked-about name in hip-hop right now. Odd Future were here as a part of the Vivid Sydney festival, playing a few shows to very mixed reviews. I sadly didn’t get a chance to see them, but I’m content for now with this new clip from Tyler’s Goblin album. It’s rare that a video has to “live up” to its predecessor – but then again, it’s rare that a video is one quite like the first single from Goblin, Yonkers. Not for the faint at heart, it’s a twisted and brilliant one-shot video that’s about as confronting as it gets. So how do you follow that? You make something completely different, but equally as demented.